Under the Affordable Care Act, people can purchase health plans through state-based health insurance marketplaces. The marketplaces make it easier for people to compare and select health plans, and most low- and middle-income consumers are eligible for federal subsidies that make coverage more affordable. 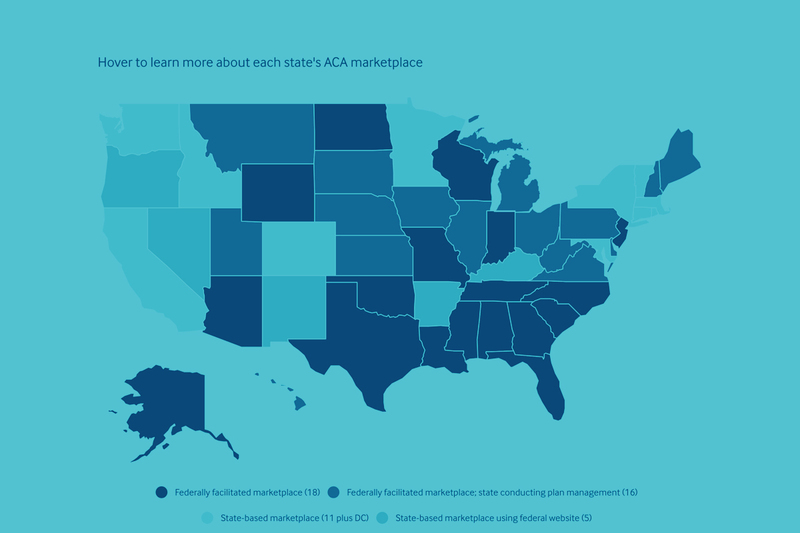 Use this interactive map to review the status of state action on health insurance marketplaces.